Eventually complementing both the V30S ThinQ and V35 ThinQ which were made official earlier this year, LG’s upcoming V40 ThinQ is expected to make its debut in the fall. However, if a new trademark is anything to go by, the South Korean brand may also have some pretty long-term plans for its lineup. 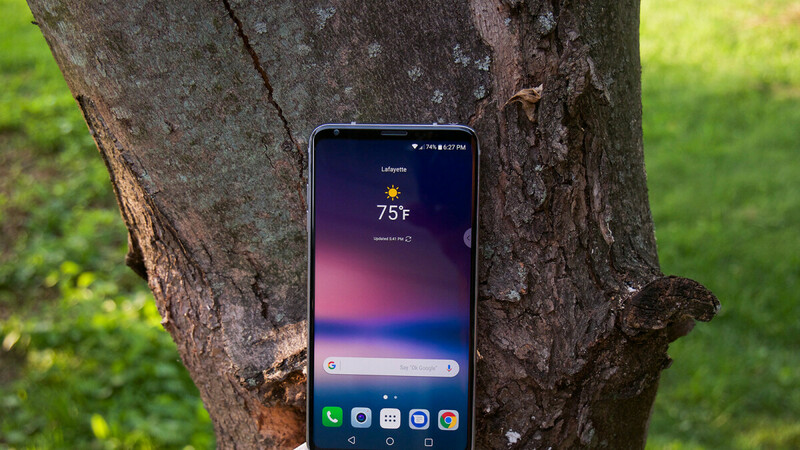 Although LG has previously stated that it will only release smartphones when it deems them necessary, the company has gone ahead and trademarked the LG V90 moniker in Mexico, hinting at the brand’s intent to continue the line of smartphones for as many as six generations starting with this year’s flagship model. Speaking of which, recent information has claimed that the LG V40 ThinQ will ship with as many as five cameras that will be featured in the form of a triple-camera setup on the rear and a dual-sensor offering up front. Moreover, following in the footsteps of the G7 ThinQ, LG’s next V-line flagship is set to include the Snapdragon 845 on the inside alongside 6GB of RAM and 128GB of internal storage. Also, rounding out the package will be Android 9.0 P straight out of the box with the company’s custom overlay on top. If recent reports are accurate, consumers can expect to see the LG V40 ThinQ on shelves by the second half of October, thus following a launch schedule that’s roughly two weeks behind that of last year’s LG V30. However, considering the LG G7 ThinQ was only made official back in May, the unveiling of the V40 ThinQ in September will significantly close the gap between LG's G and V-line releases. I've enjoyed everything of the V series so far except for the V20. Which under performed in the screen department with bad image retention and overall boring design. I hope LG continues to improve on the V30 design which has been a great daily driver since last October. I am excited for the V40 come this fall. I loved the V10 until it got caught in a boot loop. Then I got the V20 and the battery life well sucked. The lack of future support with any LG phone or LG watches (urbane 2nd edition Verizon) has been horrible. I didn't try the V30 and honestly probably will not go with the V40 until they SHOW that they have fixed the horrible battery life along with spring their phones beyond the initial release. The battery life on the V30 is pretty awesome. Easily better than what I was getting with the Galaxy S8. Support at this point, doesn't appear to be any worse than what you get with a Samsung.